Baker-Lockwood Western Awning Co. is a family owned business located in the Kansas City Metro. We adhere to the “old fashioned” values of quality products, on time, and at a competitive price. We take pride in producing a wide variety of custom awning products for personal awnings, residential awnings, commercial awnings and industrial awnings. It may be the 21st century but at Baker-Lockwood Western Awning Co., craftsmanship is an age-old tradition. From awning design and manufacturing, to delivery and awning installation, we never lose sight of what makes us successful: our customers. 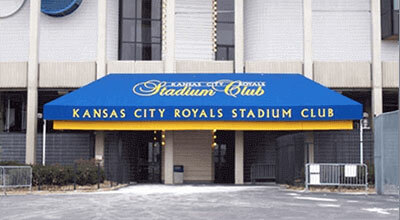 Thank you, Kansas City, for your awning business! 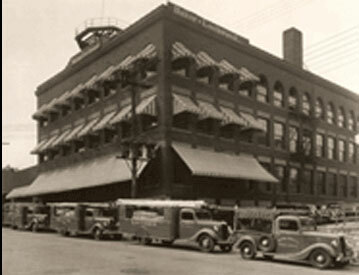 Baker-Lockwood Western Awning Co. was started in Chicago in 1843. We moved to Kansas City in 1872 just after the Chicago fire. We have been selling commercial awnings and awnings for homes in Kansas City since 1872. Thank you for visiting our website and considering Baker-Lockwood Western Awning Co. for your next awning purchase. We're here to provide you with the very best awnings at the best price we can offer.